I'm pretty introspective, and spend a lot of mental energy coming back to big questions like "Why am I doing this?" and "What IS my vision for The Hivery?" The word that always comes up for me is you. The reason that I do this is for you…my belief in you is exponential, it gets me out of bed in the morning, and tucks me in after a long day. I have such a strong conviction about what each of us has to contribute to this world, and a profound belief that you are the only one who can do it your way, with your wisdom, talent, experience, pain, mistakes, and love. 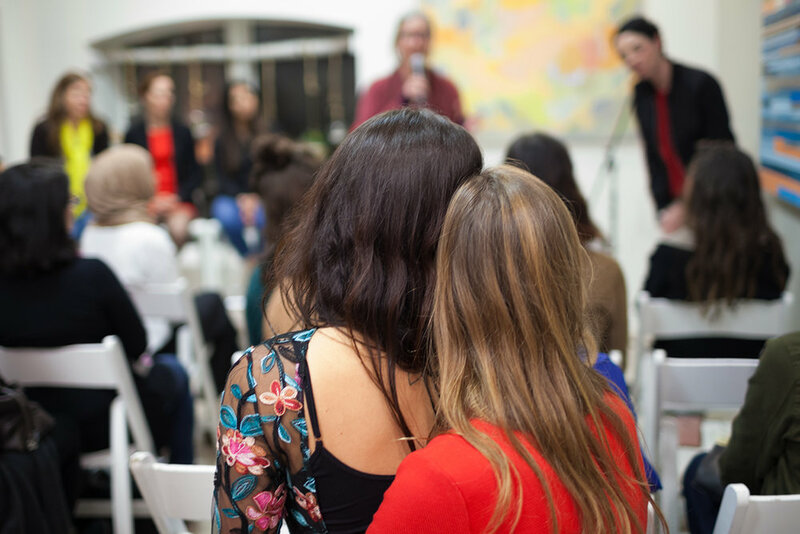 So, as I closed our annual Entrepreneur Lab last Sunday, I chose to write you a letter….both to the women that were in the room that day, and to the women who are in this community (i.e. movement) all over the world. It's a letter written to you, dearest you, because in the grand scheme of figuring out what's next, changing careers, writing business plans, raising kids, making time for self-care, designing a life, or managing money, the most important aspect of all is you. It's you—with your passion, your resilience, your dedication—who makes all the difference. This letter is from me to you.